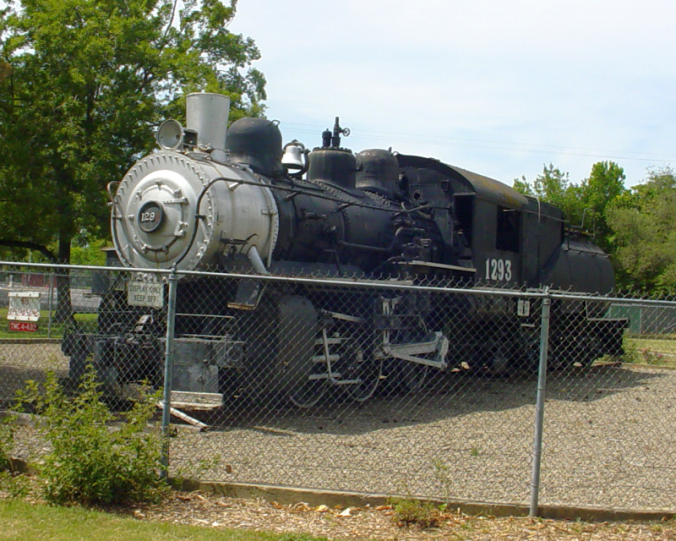 Southern Pacific’s locomotive 1293, a steam-powered S-14 Class 0-6-0 switch engine, was built in April 1924 by Lima Locomotive Works in Ohio as builder’s number 6761. 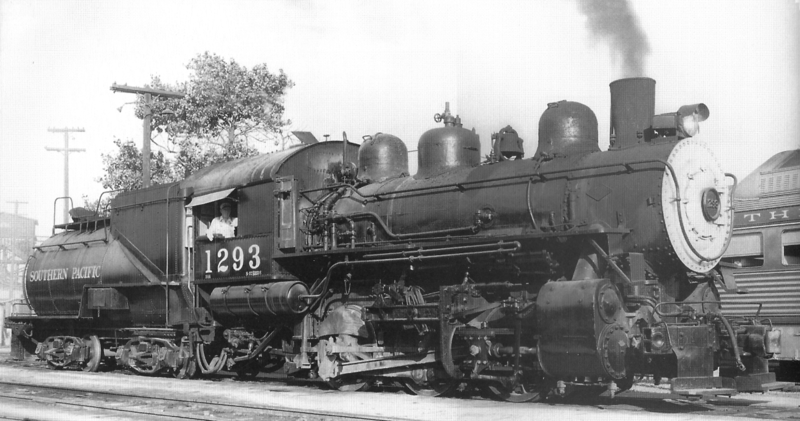 Part of a fleet of small but efficient switch engines, #1293 went to work in several of the SP’s yards along their Pacific Lines, setting up freight trains, moving passenger cars into position and spotting freight cars at various factories, produce docks and oil refineries along the way. #1293 remained in service for 36 years before being retired, after which it was donated to the City of Tracy. For more than five decades, #1293 has been on static display — “stuffed and mounted,” as the saying goes — in Tracy at Dr. A.R. Powers Park on West Lowell Avenue, across from the Boys & Girls Club near Tracy Blvd. A vital component of Railtown Tracy will be the transfer of #1293 to the downtown Railroad Historical District, and the assessment of the locomotive’s condition for possible refurbishing and service on tourist excursions. There were a total of ten S-14’s, numbered 1285 through 1294, built by Lima for the SP’s Pacific Lines; an additional twenty were built for the company’s Texas Lines (ten by Lima, and ten by SP’s Houston shops). Of the ten Pacific Lines S-14’s, only #1285, #1293 and #1294 were originally saved from the scrapper’s torch. While #1285 and #1293 remain on display in Monterey and Tracy, respectively, #1294 — which had been displayed for many years at the San Francisco Zoo — fell victim to years of deterioration in the city’s foggy climate and was scrapped on June 16, 1981. 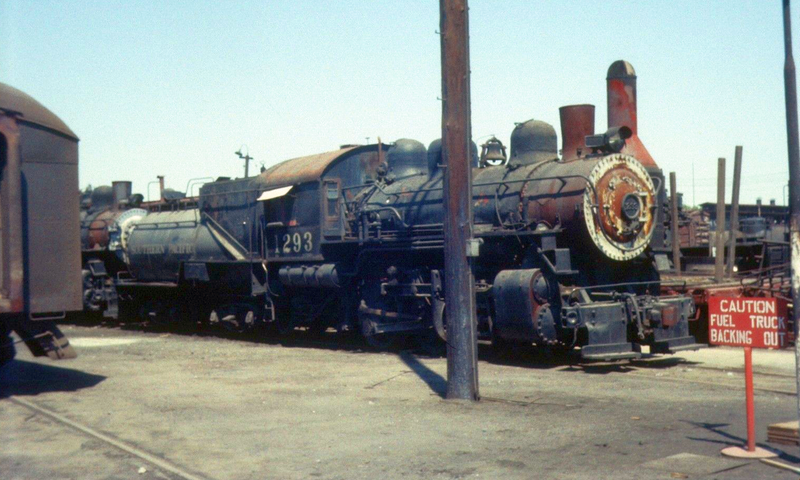 Working hard in the town where it would retire in less than ten years, the 1293 builds up steam in this 1948 photo, probably taken along 6th Street in Tracy. SP 1293 sits forlornly on the “dead line” at Sacramento, reportedly in July 1958. 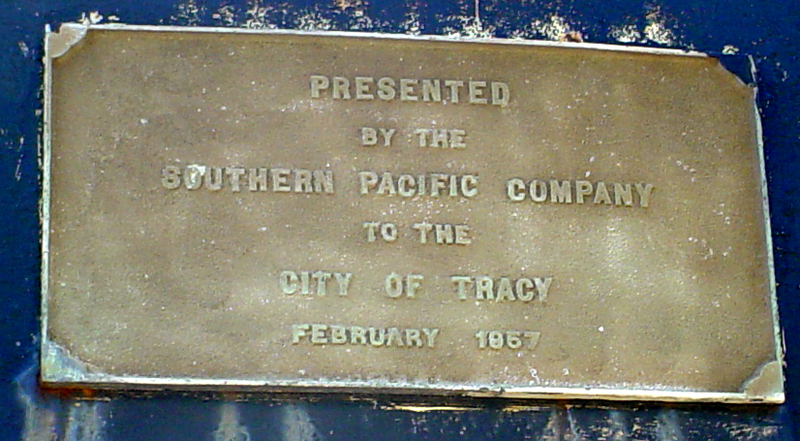 “Reportedly,” as the engine had been gifted to the City of Tracy in February 1957 and by this time should have been on display in Dr. Powers Park. Please click on any slideshow photo to enlarge.